Come full circle with yourSelf in the NOW. Come full circle with your old programs and patterns in the NOW. BE your inner radiant Sun in the NOW, the true 'new' (womb)man ready to truly be a 'midwife' for the Next Generations by truly embedding them. 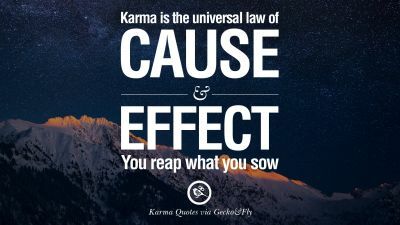 'Karma' means that you yourselve are still in old patterns, from which we keep on creating the same 'situations'. So no magical karma... just your own old (unaware) patterns and belief systems. Come full circle in the NOW and birth your Inner Sun. Beliefsystems are all overlay-programms in which you choose to belief (religion with a little r are invented by suppressors; 'governments' are invented by suppressors; current burdening (money)systems are invented by suppressors). Entities are you own beliefsystems and/or unprocessed emotions (from a far past) which impose upon you in the NOW. Demons / fallen angels / archons or whatever are not something outside of you: as long as you belief in this separateness, we are under control of them. In short: as long as we belief in the dual timeline, we are under influence and control of 'the wheel' (as described in the Tarot or the Kabalah or Astrology / so the planets who 'rule' your organs). As soon as you have invited all your Soul-fragments back 'home' in communion with your Spirit, you are beyond this influence, beyond the duality (exstreme) negative, (extreme) positive). This doesn't mean that you will not receive triggers from duality anymore, but as soon as you see through the game, you leave the trigger alone and you do not longer allow the trigger to influence you nor you do no longer feed them. From there, the true Zero Point, you perceive life and living together totally differently and you will take ownership for what you contribute. From consciousness to BEing fully aware and acting lifeGiving / contributing to organic living (together). The difference is that we are not 'stuck' in duality ('the wheel' etc. ), because 'we' (the individual) are simply capable to perceive duality from Unity and perceive the dual line and how you lock in yourself in duality. Truly seeing this doesn't mean that duality isn't there anymore, but that you no longer contribute to it. Fully embedded in the reality of the NOW: when only you are the one that doesn't feed the dual timeline any longer, this doesn't change so much in your outer world. Except that you yourself doesn't feed duality any longer. For a transmutation in the outer world we need the collective to move innerly: the 'new' (which is the organic) will unfold only then we the 'new' is lived. I live her from my inner knowing. The linear / binary timeline exists because suppressors have installed her on purpose on Earth. But in the NOW the suppressor is in 'yourself' (in your programmed psyche). You (the individual) 'must' stop the suppression yourself. Yesterday it was Friday the 13th (July 2018). The 13th 'Element' are WE ourselves and makes the (W)Holy Trinity in OURSELVES: Male, Female, and Child. The Innocent Child, the Wise Child, the Playful Child, the (W)Holy Child. This Child lives beyond the duality, beyond the Wheel: She is Your Inner Sun. When you have given birth to your inner Sun, you are no longer being influenced! by the separate signs / planets of the Zodiac (Astrology), the Kabalah, the Tarot, etc., etc. 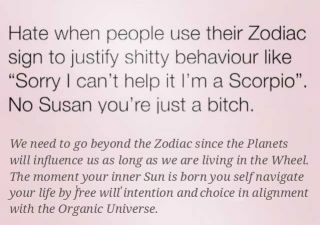 I take the Zodiac as an example: the Zodiac is talking about 12 aspects... those aspects are fragmented parts of you and connected with the planets (which are 'connected' with your organs). As soon as you have lived through all the 12 aspects and 'integrated' them, you are being 'rebirthed' as Whole: you give birth to your Inner Sun (which makes the circle round: you are the 13th yourSelf). From this Inner Source you are not causing karma anymore and you have 'dissolved' your own karma. We can not predict how the end-time will occur, because that is ALL about the life choices we people make. There are no powers outside ourselves that are more powerful then we are. We truly are the ones we have been waiting for. So astrologers who predict a nasty end-time are not correct and astrologers who predict a collective transmutation and better times are not correct either. It is ALL up to us! Translated to life on this Earthly Plane, this means that you no longer cause poverty: or rather that you live organic (together) yourself. You need to discern this information and research what is presented to you: discern if it is coming from 'Moon Astrology' or 'Sun Astrology' or what ever system because Astrology is an interpretation of Astronomy. Geloofssystemen zijn alle overlay-programma's waarin je kiest te geloven (religie met een kleine r zijn geloofssystemen bedacht door onderdrukkers; 'regeringen' zijn bedacht door onderdrukkers; huidige belast(end)e (geld)systemen zijn bedacht door onderdrukkers). Entiteiten zijn je eigen geloofssystemen en/of onverwerkte emoties (uit een ver verleden) die jou nu belasten. Demonen / gevallen engelen / archons of whatever zijn niet iets buiten ons: zolang we in deze afgescheidenheid geloven, staan we onder hun invloed. Kortom: zolang we in de duale tijdslijn geloven, staan we onder invloed van 'het wiel' (zoals weergegeven wordt bijvoorbeeld in de Tarot of de Kabbala of Astrologie / dus de planeten die onze organen 'aansturen'). Zodra je al jouw Ziele-fragmenten terug thuis laat komen in verbinding met jouw Spirit, ben je voorbij deze beïnvloeding, voorbij de dualiteit ( (extreem) negatief, (extreem) positief). Dit wil niet zeggen dat je vanuit de dualiteit geen triggers meer zou krijgen, maar zodra je het spel(l) doorziet, kun je de triggers laten voor wat ze zijn en je er niet door laten beïnvloeden / of ze voeden. Van daaruit, het 0-punt, ga je heel anders naar het (samen) leven kijken en eigenaarschap nemen over wat jij bijdraagt. Van bewustzijn naar volledig gewaarzijn en levenGevend handelen / bijdragen aan organisch (samen) leven. Het onderscheid is dat we niet 'vast' zitten in de dualiteit ('het wiel' etc. ), want 'we' zijn gewoonweg in staat om vanuit Eenheid de dualiteit waar te nemen en dan te zien wat de duale lijn is en hoe je jezelf daarin vasthoudt. Het zien daarvan betekent niet dat de dualiteit er niet meer is, maar wel dat jij er niet langer aan bijdraagt. Volledig ingebed in de realiteit van het NU: als alleen jij de duale tijdslijn niet langer voedt, verandert dat in jouw buitenwereld niet zoveel. Behalve dan dat jij de dualiteit niet langer voedt. Voor een verandering in de buitenwereld dient het collectief mee te bewegen vanuit een innerlijke beweging: het 'nieuwe' ontvouwt zich slechts dan indien het 'nieuwe' geleefd wordt. Ik leef haar vanuit doorleving. Dat er een lineaire / binaire tijdslijn bestaat, heeft alles te maken met hoe onderdrukkers haar geïnstalleerd hebben. Maar in het NU zit die onderdrukker in 'onszelf'. We 'dienen' dus zelf te stoppen met onderdrukken. Doordat je geboorte geeft aan je Innerlijke Zon, word je niet langer beïnvloed! door de AFGESCHEIDEN tekens / planeten van de dierenriem (Astrologie), de Kabbala, de Tarot, etc., etc. Ik neem de dierenriem als voorbeeld, waar de 12 aspecten benoemd worden: de aspecten zijn deel van jou en verbonden met de planeten (die weer 'verbonden' zijn met onze organen). Zodra je de 12 aspecten doorleefd en 'geïntegreerd' hebt, wordt je als Heel 'herboren': je geeft geboorte aan jouw innerlijke Zon (jijZelf bent 13: ofwel Jij maakt de cirkel rond). Vanuit deze innerlijke Bron veroorzaak je geen karma meer en heb je je eigen karma 'opgelost'. We kunnen niet voorspellen hoe de 'eind-tijd' zal plaatsvinden, omdat dat VOLLEDIG over onszelf gaat en de levenskeuzes die we maken in eigen (samen) leven. Er zijn geen krachten buiten onsZelf die meer krachtiger zijn dan wijZelf. Wij zijn wezenlijk degenen op wie we gewacht hebben. Dus astrologen die een nare eind-tijd voorspellen hebben zijn niet correct en astrologen die een collectieve transmutatie en betere tijden voorspellen ook niet. Het ligt ALLEMAAL op ons eigen bord! Vertaald naar het leven op Aarde, betekent dit dat je niet langer armoede veroorzaakt: ofwel dat je zelf organisch (samen) leeft. The Sun (Jesus), which is same as the Son (Jesus) ascends and descends in a 24 hour cycle. And in a bigger year cycle, and even a bigger 24 thousand great year cycle (some say 26.000 year) and as every microcosm is a wheel within a wheel (it are all wheels within wheels) of a bigger macrocosm so we eternally move in cycles up down and in and out (compare with the breath: the outbreath connects with the inbreath). In the outbreath we place everything outside our True Selves and in the inbreath we take it all back again within ourSelves. When we do not take it all back we will be harvested as slaves in loops over and over again. And we are not able to go beyond the Wheel and go home (again) connecting Soul with Spirit (again). The Equinox and the Solstice is the cross of the four seasons. and we celebrate fertility (in Pagan and other mythology based on nature we can see this more clearly then in the Bible: this is what we celebrate at pass over, not the sons reserection as is in the Bible, but OUR SUN coming out of winter (as without so within). You have been fooled: the bible is full of truth. But you have to decode these stories since it is all allegorical. They gave names to nature to keep you stuck in the oroborous birth and rebirth loop. We are born again every yearly solar return and if 'they' (religion, or whatever who) try and save you its a trap: only you can save and heal yourSelf (your Spirit is your Inner Healer). That is why this time is so very important, because in this 'time-frame' many can (and will) truly awaken and their Souls are very tasty to harvest. Compare with the paedophilia who 'love' children: they 'love' children because they are still very pure in their lifeforce-energy. Time to give birth to your INNER Sun. So when we have seen the 'signs of the times we are in'... and the 'elite' do know these (astrological) cycles perfectly well and they make (mis! )use of them in False Flags, movies, etc. etc. When we have truly seen this and KNOW what is going on... We can take our inner source power (back) to step out of these cycles... The 'elite' do not want us to do so: at the end of an age many Souls have the opportunity to become truly awakened and they taste very juicy for the 'elite'... but they have NO control over us the MOMENT WE HAVE BROOKEN THE SPELL and we have! We have stepped out and we have disclosed the keys to unravel the normal organic living togetherness on Earth (this planet, not another planet elsewhere). We enter the so called 'Lions Portal' on August 8th (8-8-8: 8-8-2017). Before that we have an eclipse on August 7th. This is according the Gregorian Calendar people which is only here since October 1582. Can you see the 'magic' of numbers? The eighth month of the year... Leo... and his 'ruler' the Sun... which all refers to your Inner Sun (as without so within: and it is ALL within). 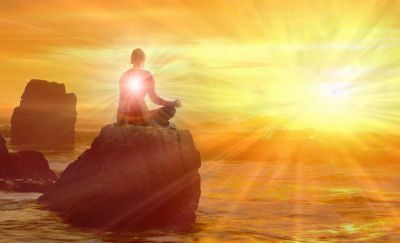 Beware of the 'false light' and go within: Your Light is Within as well. Do not give it away to any one nor any thing (also not numbers 8-8-8 which is based on the Gregorian Calendar). Our Souls respond to number codes but those are inverted. Spirit is not so much about codes but sounds and vibrations (and you could call them 'codes' also, but those can not be inverted). These codes (777 / 888 and so on) are reletated to the Gregorian Calendar which means they are related to clocktime (this is also true for 11:11 and so on)... These codes trigger a 'false' enlightenment, not the true awakening / total embodiment. So when you see those codes a lot of the time... like 11:11... you are atuning yourself more and more into clocktime: which removes you from your own inner natural / organic rythm. When you surrender your mind to an A.I. entity, you lose the free will required to know that you need to be rescued. You have been assimilated. Stop following, stop regurgitating, shut down the chatter, seek the inner stillness of your own innate Knowing. Go within people. It is all within you. No need to activate any thing... Do your inner work and it will all unfold by itself... But you need to do the inner work and call all Soul fragments home and merge with Spirit. When you only treat the symptoms the original trauma goes 'underground' in the subconscious: it is the original trauma that needs healing and your Spirit is your own Healer. Someone can hold space but you are the Healer yourSelf: but you need to go to the source of it all and come full circle in the now. The significance of healing your trauma's, by which your emotions and the experience in the past (life) come full circle, is that you truly have your lifeforce-energy and attention free to attain your true heartfelt dreams and (start) do(ing) what you want to do. Keep those inspirational dreams for yourself and do not let others stop you from living them: it can be that others simply want consume your inspiration(al lifeforce-energy) and spit it out. So in essence I am saying to play your own game (together with those who truly connect and share) and to choose for yourself. It's not whether you lift the world or flie around, it's simply whether you follow your heart and go for what you know you can or whether you let others hold you back. Remove yourself from all cults (and be aware of the enslavement / savior programs. Go further... go beyond... I wish you not to get trapped / sucked into any agenda.